MIAMI GARDENS — The first version started as a one-day event of pure jazz, designed to brand the host city as a destination in the tropics. 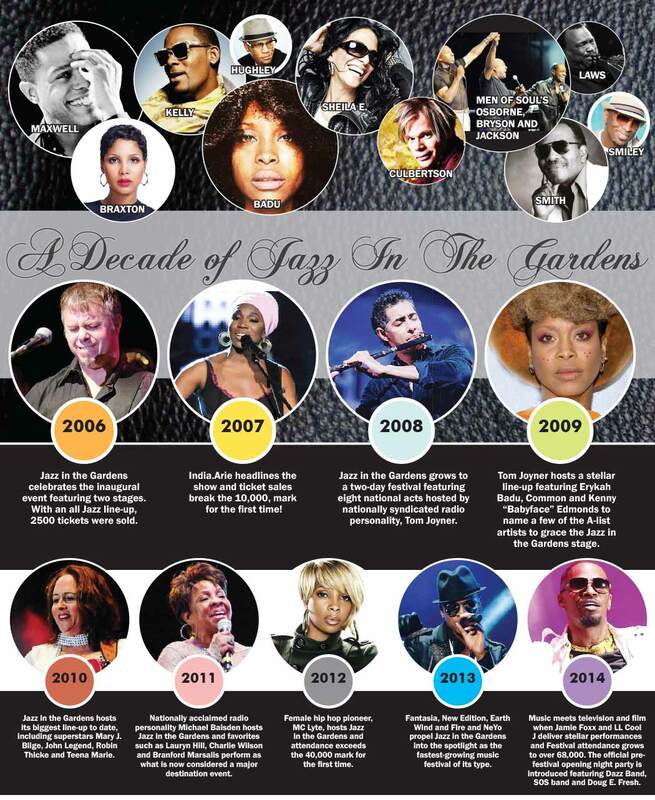 In its 10th year, Jazz in the Gardens is a weekend experience and has become something of an international lure, drawing top musical acts and lovers of varied genres. While the first JITG in 2006 sold about 2,500 tickets, organizers predict the 2015 version will draw more than 70,000, eclipsing the record crowds that attended in 2014. This year’s event also spans three days with the addition of a women’s conference and a pre-show concert both on Friday. Sponsored by the City of Miami Gardens, the 10th Annual Jazz in the Gardens will be held March 21 and 22 at Sun Life Stadium. 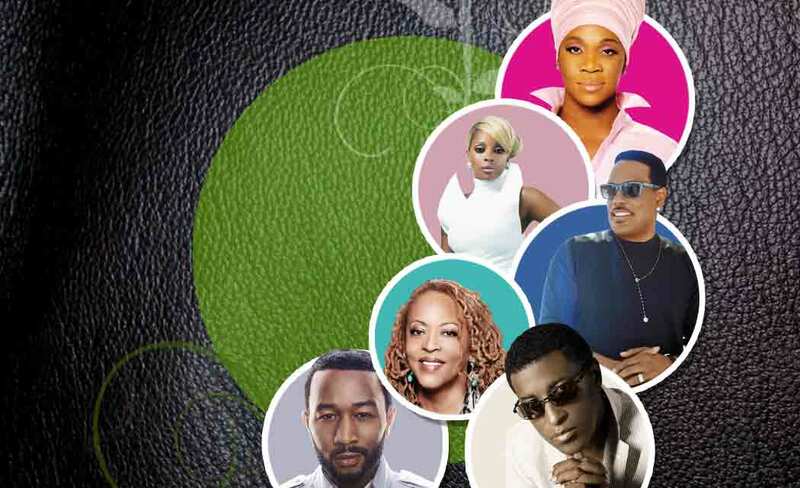 The two-day music festival will feature entertainers such as Maxwell, Toni Braxton, R. Kelly, Erykah Badu, Run-D.M.C., Sheila E., Brian Culbertson, Men of Soul’s Jeffrey Osborne, Peabo Bryson, and Freddie Jackson, and Jazz in the Gardens All Stars: Ronnie Laws, Roy Ayers, Lonnie Liston Smith, and Tom Browne. Comedians and nationally syndicated radio personalities D.L. Hughley and Rickey Smiley will co-host the festival. Jazz in the Gardens will also feature local artists Valerie Tyson and The Voice’s Karina Iglesias, along with over 40 food vendors and an action-packed vendor marketplace. Doors to the festival will open at 3 p.m. and the show will start at 4 p.m.
Smiley and a few special guests from his morning show will host a pre-party featuring the D.M.C. Band, a comedy show, live entertainment and dancing. Gilbert predicts visitors will have a good time.